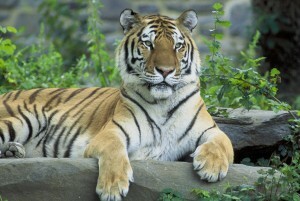 The concept of ‘rewilding’ has received much publicity in recent years. It is used by conservationists to return areas of the countryside to a more natural state and restore once native species of flora and fauna that have been lost from the ecosystem. Media publicity surrounding this movement is bringing the concept of ecological restoration to a much wider audience, and could help to change public perception of how the countryside should be managed and increase support for restoring species such as the wolf. In Scotland, official records indicate that the last Scottish wolf was killed in 1680 in Killiecrankie (Perthshire), but there are reports that wolves survived in Scotland up until the 18th century, and a may even have been seen as late as 1888. Reintroducing the wolf to the Scottish Highlands was first proposed in the late 1960s, but the idea only started to gain wider publicity and support following the reintroductions of the red wolf to the south-eastern United States in 1989, and the grey wolf to Yellowstone National Park in 1995. Wolves are a ‘keystone species’, which means that they exert both direct and indirect effects on their ecosystem. They influence their prey, their prey influences the plant and animal species beneath them, and so forth down the chain. Wolves can turn grassland into forest and create habitats that hundreds of species can use, by keeping deer on the move so that they can’t overgraze fragile tree seedlings, and are likely to reduce the loss of arable crops. Wolf reintroductions will always face resistance from some members of nearby communities as they suffer from centuries of demonisation, but wolves are actually shy animals and present a very low risk to people. Wolves have re-established themselves across most countries in Europe and are a huge tourist draw. New research, led by the University of Sussex and the University of Kent, has taken a close look at wolf reintroduction in Scotland. The findings indicate that for wolves to be effective at directly reducing red deer numbers and allowing nature to recover in the Highlands, they may need to be reintroduced to very large fenced reserve. 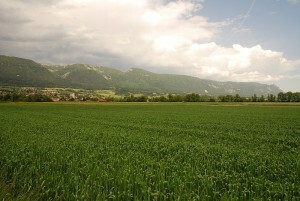 The study was published in the journal Restoration Ecology. A fenced area, which would also help limit encounters with residents, farmers and workers in the Scottish Highlands, would give the reintroduced grey wolf the opportunity to achieve the high population densities (e.g. 80 wolves per 1000 km2) required to directly reduce the very high red deer numbers that are currently create an over-grazing problem in the Highlands. The current high red deer densities (up to 40 deer/km2) are preventing tree regeneration and ecosystem restoration in parts of Scotland with more than one third of all native woodlands in an unfavourable condition because of herbivore impacts. The research, which also involved scientists from Aarhus University and the University of Oxford (WildCRU), tackled the question of how many wolves would be needed in an area to bring down the number of red deer to allow ecological restoration. 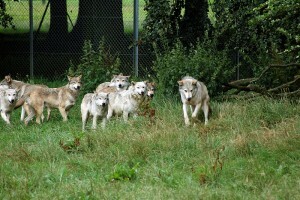 The team’s analyses show that a barrier capable of retaining 75% of dispersing wolves within the reserve would be optimum in allowing for rapid wolf population growth that could lead to reduced deer numbers without the risk of having so many wolves that the red deer population would be threatened. To understand the likely dispersal behaviour of wolves, the researchers drew on examples from around the world, which reveal that young wolves who leave a protected area often find it difficult to establish a new territory. 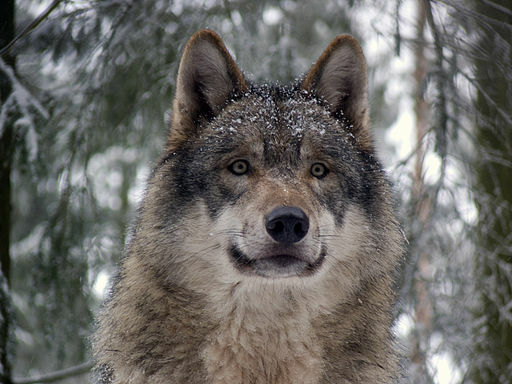 In Finland, all wolves leaving an expanding wolf population into a reindeer management area were shot before being able to reproduce, while in the Białowieża National Park in Poland, surrounding human activity has created a barrier to wolf movement patterns. Biologists found that the wolf population of Riding Mountain National Park in Canada had limited interbreeding with other wolf populations in nearby protected areas and no successful wolf dispersal from the park had been recorded over several multi-year tracking studies over 40 years. 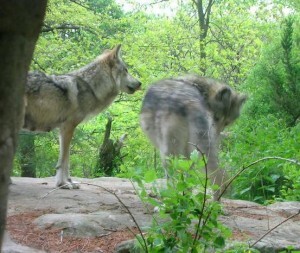 The study states that a reintroduction of grey wolves, also known as timber wolves, to Scotland is likely to be of relatively small benefit to the conservation of the species, which are classified as of least concern in terms of extinction by the International Union for Conservation of Nature (IUCN). However, it could have important ecosystem level effects by instigating a significant trickle down impact on species below them in the food chain. It could also have a major effect of wildlife-based tourism, and associated job creation. The authors note that the reserve would require human management to help mitigate risks such as inbreeding depleting the health of the wolf packs, as has happened catastrophically to the wolves on Isle Royale in the USA, while the construction of the fence would require very careful management to minimise potential negative impacts on birds in flight and the movement of non-target species. Two scientists from the University of Montana made the connection between the decline of deciduous trees and a decrease in songbird populations in the mountains of Arizona. In one such state, Idaho, wolves are doing well, numbering over 740 wolves. However, with more wolves, there has been more conflict with livestock farmers.